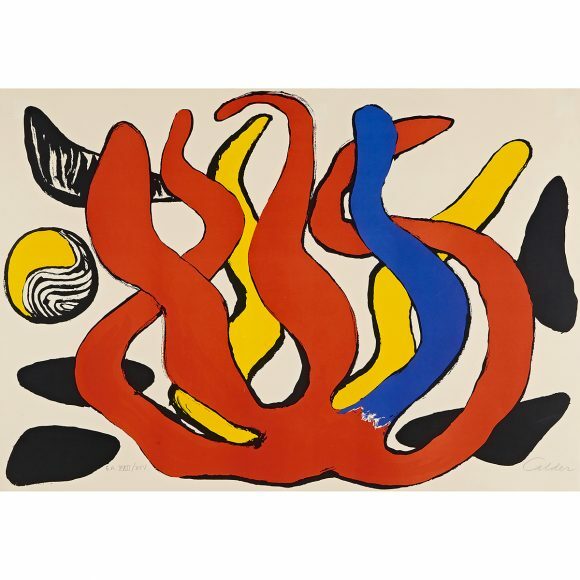 Born into a family of artists in 1898 in Lawnton, Pennsylvania, Alexander Calder moved around often in his youth to Pasadena, Philadelphia, New York, and San Francisco. Calder learned mechanical engineering and applied kinetics at Stevens Institute of Technology in Hoboken before training at the Art Students League in New York City. 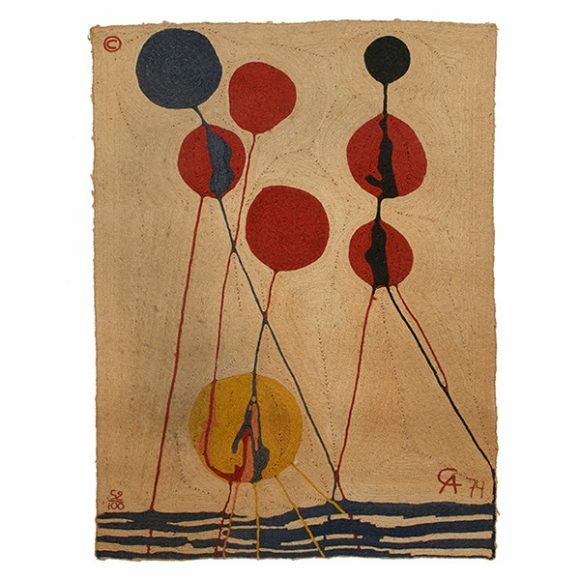 In the early 1920s, Calder fixed cars, worked as a draftsman, colored maps, and illustrated magazine pieces, including one that especially piqued his curiosity on the Ringling Brothers and Barnum & Bailey Circus. 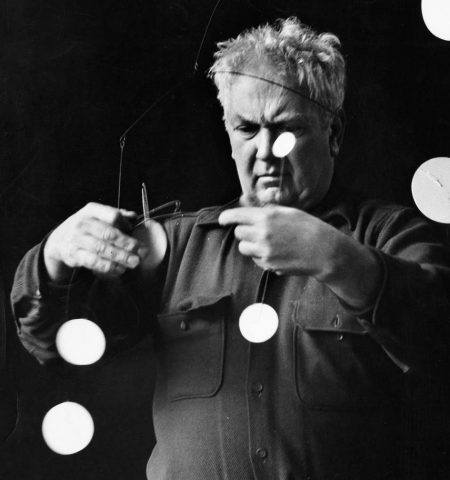 In 1926, Calder moved to Paris and became enamored with the European avant-garde. Playfully mixing high and low culture, Calder staged what became known as Cirque Calder, a kind of artistic circus with wire sculptures. These performances drew notable French artists like Jean Arp, Marcel Duchamp, Joan Miró, and Fernand Léger. From Duchamp, Calder gained the term “mobile,” with which he would become famously associated. At first, Calder’s mobiles were motorized, but soon he designed them to operate by wind or human power. 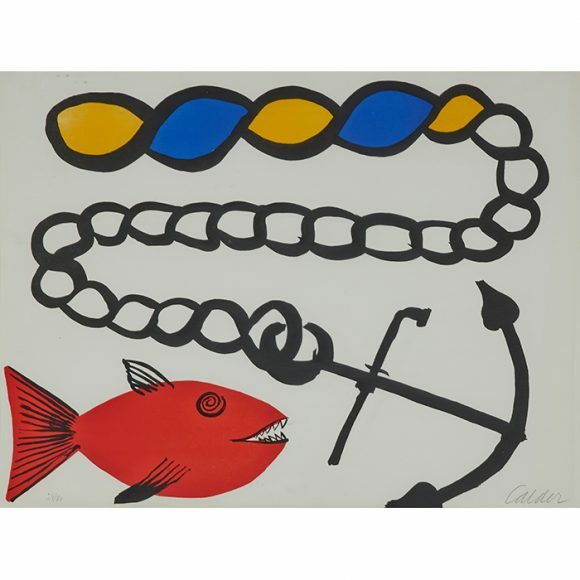 Before returning to America, Calder met Louisa James crossing the Atlantic by boat and the couple married in 1931. In addition to his ingenuous mobiles, Calder is well known for his often large-scale, colorful outdoor sculptures in abstract forms. 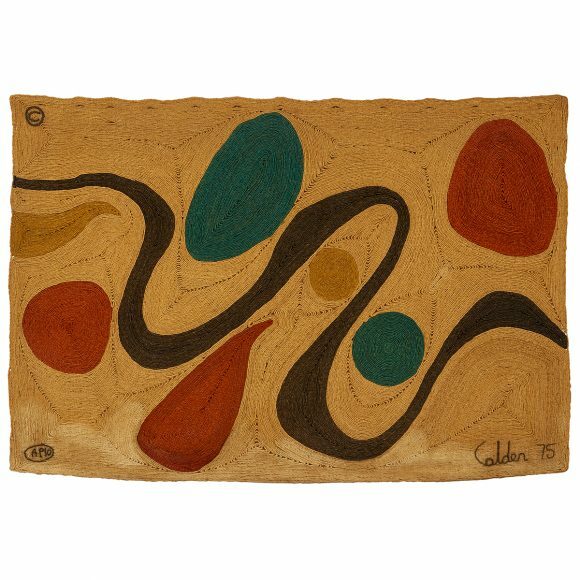 Along with mobiles and public art, Calder tried his hand at painting, works on paper, jewelry, tapestries, and “stabiles,” that is, non-kinetic sculptures. In light of the acclaim he received in Paris, the Museum of Modern Art in New York held a retrospective exhibition in 1943. Additional exhibitions followed in 1964 at the Guggenheim Museum and in 1974 at Chicago’s Museum of Contemporary Art. In 1976, Calder experienced a sudden, fatal heart attack in New York.